Should you see a worker in the financial services sector kicking a wall today, or muttering slowly whilst tearing up a newspaper, or taking off their shoes and walking into the sea, Reggie Perrin style, then spare a thought (and perhaps a few coppers) for the poor dabs. Because fund giant Vanguard – famed for its cheap trackers and its all-in-one LifeStrategy products – is now enabling UK investors to invest in its own funds directly. This means we can now put money into its funds without having to use a third-party platform such as Hargreaves Lansdown. And with Hargreaves’ shares having fallen as much as 5% on the news, City traders seem to believe Vanguard’s launch will spark a renewed price war. Which is nice – for us investors, anyway. Not so good for rivals. Vanguard says it will levy an annual fee of 0.15% on up to £250,000 invested with it. There will be no account fee on the excess above £250,000. The platform fee is thus capped at £375 a year for even the largest portfolios. The minimum lump sum investment is £500. Monthly savings start at £100 a month. There are no initial or dealing charges, and no cost levied by Vanguard for transfers in. Vanguard’s 0.15% platform fee will levied be on top of the ongoing charges that you pay for whatever Vanguard funds you own. Some Vanguard funds boast even lower fees. For instance, its FTSE 100 Index Unit Trust charges just 0.06%. So £20,000 invested into that fund on the Vanguard platform would cost a total annual levy of 0.21%, or £42 a year. Vanguard is currently offering ISAs and non-ISA accounts, but no SIPP. It plans to add a SIPP option to the platform “within the next year”. The new Vanguard site has the website address www.vanguardinvestor.co.uk. 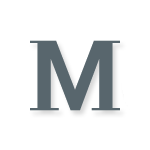 (Vanguard says it will eventually retire its existing UK website). The FAQ is pretty comprehensive, if you have any particular questions. Vanguard is not the first fund provider to enable us to invest directly into its funds without using a platform. For instance, I’ve held a small proportion of my portfolio directly in Legal & General tracker funds for many years. (And no, it’s not cheapest! Even us investment bloggers have our foibles. Besides, I favour platform diversification). But Vanguard’s offering is more transparent (and cheaper) than Legal & General’s, as fans of the US group would expect. With Legal & General you pay much higher ongoing charges than with some competitor trackers, but there’s no platform fee. In contrast, Vanguard is explicitly breaking out the platform fee. This enables you to compare costs more directly. The big question then: How do those costs compare with the others you’ll find in our comparison table? Well, I’m not the Monevator expert on platform charges. Also, anyone who has tried to navigate the nightmare of comparing one particular portfolio invested on a particular platform with another platform knows there can be more quirks, hidden corners, and labyrinthine passages than you’d find in a medieval city. Caveats and costs lurk around every corner! That said, I believe Vanguard’s new offer looks pretty darn compelling. For those wanting to hold Vanguard funds it looks substantially cheaper to do so directly via its new investment platform than via a percentage-fee charging rival. For fixed-fee brokers, it could still be cheaper to go with one of the alternatives if you have a large portfolio. You’ll have to run your own numbers. But for small portfolios of Vanguard funds, going direct again looks cheapest. Holding Vanguard ETFs with rivals instead of Vanguard funds1 with Vanguard could also be cheaper for some investors with large portfolios. For instance, our table notes that AJ Bell caps its quarterly platform fee for shares (including ETFs) at a maximum of £7.50 for an ISA, or £25 for a SIPP. That means platform charges are capped at £30 and £100 a year respectively. Do remember that’s before ETF dealing fees and the ongoing charges on your Vanguard ETFs. Still, there could be savings to be had on larger portfolios. To be honest it’d be nice to find some bigger holes to poke in this new Vanguard platform. You see, for our lauding its cheap funds – and for celebrating the pressure it puts on the wider industry to drive down costs – we’ve been accused in the past of being a sneaky Vanguard promotional site. In reality, Vanguard has never even advertised with us. And it didn’t care to send us a press release to announce its new service. Fact is though, with this very competitively priced platform, Vanguard is likely to provide massive disruption to the incumbents. While we like to argue the toss between this and that tracker fund, the average person would do fine just investing in Vanguard’s cheap passive offerings, or even its all-in-one options such as LifeStrategy and its target date funds. Heck, it even has (low cost) active funds if you really must. Rivals have some thinking to do. The lack of a Vanguard SIPP account at launch gives them some breathing space there. Some may be able to find a niche serving harder-to-please clients, such as expat investors. But most are probably going to fall back on star active fund managers and heavy advertising to try to keep the Vanguard threat at bay. They should be aided in this by rival fund groups, who have just as much to lose from Vanguard gobbling up yet more market share. Low-cost rival platforms are in trouble because they’re not cheap enough. Higher-cost offerings touting wunderkind active funds have the flow of history against them. Only a handful of these platforms were making good profits to begin with. Monevator readers are in clover! Finally, one of my spies in The City has sent in this documentary footage of the kerfuffle that the launch has already kicked off. (Sensitive readers should look away now). 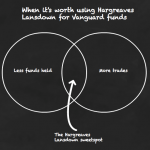 Is it worth sticking with Hargreaves Lansdown to get Vanguard funds? @Jon. Thanks for clarification. Even so £375 is still 75 iWeb trades per year, not something I will ever get anywhere near. It’s all good, and will probably USE the passive part of my portfolio with them, but Caveat Investor. Where the funds are domiciled: the Global Small Cap Index fund is domiciled in Ireland as well as the Global Bond. I haven’t checked each, only the ones I am interested in. This could have impact on those with bigger pots as the protection no the £50k FSCS; and with Brexit god knows how EU investments will be treated. I used to think Vanguard only did this with their ETFs but apparently no. Moreover, HL, the more expensive platform, cap their platform fee on shares and ETFs in ISAs at £45 (0.45pc of 10k), and don’t charge anything when they are in the general account. So holding ETFs, even vanguard’s own, is cheaper in Halifax or even HL. Well, as you’d expect with a ‘Monevator’ name like Maximus, I’m all in favour of this type of announcement. I bet some of those Account Management Caesars are quaking in their, um sandals. Well – i posted yesterday that the HL service was very good but not really worth the 0.45%. Today the fund prices havent been updated – with no message on the site as to why. So perhaps not that great afterall. So far Vanguard’s website/platform looks to be user friendly. Interaction and communications using the secure message facility works well with quick response. My ID was not verified so I had to upload documentation. Once uploaded ID was verified within a hour or so lifting the temporary account restrictions. People are missing the point – if this development by Vanguard encourages more people to invest for their future it can only be a positive. The model has worked well in United States so hopefully will do so here in the UK. Waiting to see what they will offer in respect of pension. Is the £100 a month minimum per fund or can you split that up and put for example £25 into 4 funds? @No Cash Jay – Vanguard platform/direct – the Lump sum minimum is £500 and regular minimum £100 per fund/etf. Your maths assumes 1 VG fund. My kids’ JISAs have 6: the 4 active factor etfs, the ftse global all cap fund and the EM fund. On VG’s platform you can invest monthly for free. On Halifax that would cost £156.50 per year. It would be cheaper to stay with Vanguard until the portfolio reached £104,333 in value. Nice to see their entry into the market but too expensive for me currently, I’ll stick with my iWeb ISA. I’ll be interested to see their SIPP charges when that comes along. It says 61 Comments but no comments showing & the ‘Next Comments’ link goes nowhere. It now says 62 Comments (got mine then) but the ‘Previous Comments’ not only hurts the eyes, it also goes nowhere. It’s the free trades. If you’re investing a relatively small sum (say, £4,128 into a JISA) the free trades allow you to make monthly contributions that would otherwise be compromised by the price of doing so. The more funds your portfolio is spread across, the greater the savings. For instance, I’ve transferred my children’s JISAs in because they are each split between 4 vanguard etfs and 2 index funds, maybe 3. Thus I can make 7 trades in each JISA, every month, for free – 14 in total. Even if I were using the cheapest alternative out there, that would be 14 x £1.50 = £21 per month or £252 per year across both kids’ JISAs. Hmm my replies to people seem to be getting tacked on to the end of the thread. Sorry if the above comments seem garbled! 65 Comments but they are still invisible. @all — Comments should be working now, sorry for the disruption! I have a Life Strategy Fund in an ISA with Charles Stanley where their platform charge is 0.25% and no dealing or other charges. Considering Vanguards account fee of 0.15% plus fund charge of 0.22%, it’s still cheaper to stay with Charles Stanley. They’ve also set up a DD for £50 a month into LS80% – so I’m assuming that will be actioned. >it’s still cheaper to stay with Charles Stanley. Charles Stanley charge you their platform fee of 0.25% and Vanguard will charge you their fund fee of 0.22%. Total of 1%. Vanguard platform will charge you 0.15% plus the fund charge of 0.22%. Total of 1%. Vanguard does however offer free switches between funds and in respect of etf’s no purchase/sell fees if happy to have your instructions grouped with their bulk transactions twice a day. Vanguard also have a habit of reducing costs when economies of scale kick in. Perhaps this will be a wake-up call to platforms such as that of Fidelity whose website is poor and where customer service is worse. Where do you get 1% from for both platforms? I make it 0.47% for CSD and 0.37% for Vanguard. You pay 0.22% to Vanguard for your LifeStrategy fund either way. They don’t magically waive their costs for anyone! The only difference is your platform fee. With Cavendish it’s 0.25% and with Vanguard it’s 0.15%. Apologies – for the oversight. But the point was attempting to make was that the fund charge and platform fee with Vanguard was cheaper. So, it’s cheaper to go with Vanguard, so my next step will be to transfer my Charles Stanley ISA to Vanguard. Thanks for all the comments. I still find share trading in the UK expensive compared to Sweden. Swedish broker Nordnet lets you trade for free for portfolios up to 80K SEK (approx 8000£), and charge per trade fees as small as 10p (1SEK). Encouraging for new and small investors to find their feet. Nothing much to add (but want to subscribe to future comments). As others have said, initially exciting, and great for people starting out, though as the portfolio’s get larger, II (and others) seem to come out on top. …also really hoping they hurry up with their SIPP, and LISA offerings too. Ditto about the SIPP. I read it’s on its way later in the year. Currently with Bestinvest but I think Vanguard will be more competitive. Remember Vanguard have the scale and economies of scale to maintain their charges. They may well reduce their platform charge over time like they have reduced their fund charges based on increased AUM. Overall they have a competitive offering. In respect of etf’s you will be able to trade free if happy to have instruction actioned in bulk with all other instructions daily either am or pm. Hopefully their SIPP offering will be equally competitive! Transfer took just a few days from Fidelity to Vanguard. No hassle. Just had to upload ID. Looking forward to switching my SIPP from Bestinvest to hopefully get a similar reduced charge. Unable to verify identity re. transfers in from another provider (hence identity verified). Monthly investment minimum of £100.00 is not user friendly- i.e. A wish to invest £100 per month in total but split it between funds/etf’s, i.e. £90 in VWRL and £10 in VGOV. No SIPP wrapper at launch is a major inconvenience. The introduction of some videos re. Navigation of website and functionality would be beneficial. UK investors are familiar with and comfortable with existing platforms. The amount of negative reviews of Vanguard’s US operation. I think they are having teething problems with the site. I verified my bank details. They emailed back to confirm but it still says the details need to be verified in the Regular Payments section. It also says the ISA transfer is pending when as far as I can tell it’s gone through. At this stage I will stick with HL and adopt Lars Kroiger’s investment portfolio. Either world tracker etf and UK Gilt etf or use ishares core world tracker with either UK Gilt or UK corporate bond or both. Let’s hope Vanguard UK platform has teething problems as opposed to importing the customer service issues that they seem to be having in the USA. I agree their fund offering is good. If we can persuade HL to introduce regular etf investments charged at £1.50 in line with investment trusts – it would be beneficial. I have opened an ISA and 2 JISAs on the new Vanguard platform. It works perfectly for me. Also, there has been some confusion as regards minimum investments. Once your account is open, you can make a monthly investment of, for instance, £100 and have that £100 split between more than one fund. In fact, if you are investing small sums, then it is a no brainer. My kids’ JISAs are split between about 6 different funds/etfs. On monthly basis, that would be 72 investments per year and so over £100 on the next cheapest platform, as opposed to free with VG. Also, the various niggles that arise out of cashflow issues usually lead to me making all sorts of rebalancing/faffing trades that weren’t in my original plan. these quickly add up on any other platform, as they are not usually made within a super-discounted “regular investment” plan. The VG is very good and I recommend it. That was my biggest gripe – the website would’nt let me split my monthly investment across funds/ etfs. I found this frustrating. I have raised this with Vanguard. Hopefully niggles like this will be addressed. I contacted them yesterday about issues I had. I’m glad to say they got back to me within a few hours. They admitted having a few problems with the new website. Issues with Vanguard addressed. Will use Vanguard ISA for Lifestrategy fund as 0.15% platform fee competitive when compared to HL 0.45%. If etf’s used the non-capped platform fee with nil charges for purchase/sell of etf’s is competitive compared to HL – as HL charge £11.95 for purchase/sell. Regular investment into etf’s is now viable. At this time continued use of either investment trusts or etf’s in HL SIPP pending Vanguard’s offering. Another benefit of Vanguard ISA is that it is flexible allowing for withdrawals as required with ability to replace withdrawn monies within the same tax year. Instructed Vanguard to transfer in Junior ISA from HL. Investment Trust sold quickly but monies still sat with HL after a month. Last two emails to HL ignored. Just how long does it take to transfer cash proceeds to new platform provider. Delay plus ignoring client emails is unacceptable and echos negative comments posted to Trustnet re HL. Perhaps HL have become complacent. If this is the level of service HL delivers now then new entrants like Vanguard may well do well. How much ISA money has HL lost to Vanguard. If HL don’t care about clients and their reputation then future decisions to transfer SIPP to Vanguard in the future will be easier to make. Vanguard have demonstrated high level of customer service to date. Vanguard service and cost will win out. To follow on from William’s comment, another thing I noticed about Vanguard was how quickly the monthly payment was invested. The next day. With Fidelity, it seemed to be three or four days, going through various stages. It’ll be interesting to see how other providers respond. So, transferred my son’s J-ISA from Youinvest. 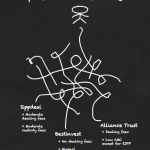 A single fund (lifestrategy 100), sold to cash for £1.50 to avoid £25 transfer fee. Would like to transfer my ISA, but the cost of selling/transferring everything means >10 year payback on the cheaper fees. H-l is even worse as they charge a fee for account closure! Until such time as transfers can be done more fairly you are trapped unless you want to take the hit. Can anyone comment on the Vanguard platform’s functionality / ease of use? My father had his BT shares transferred into selftrade – it’s awful! Very simple to use so far, only one holding, so some of the charts and detailed views are a little wasted. Easy to add new cash and top-up holdings etc. The website’s very clear and well laid out. I’ve had no issues with the Vanguard at all. They also reply to questions very promptly. So far, much better than Bestinvest and Fidelity, particularly as it doesn’t take them 4 days to invest each contribution like it does it with those companies. Been a customer for a few months now, so far so good but their platform has a few bugs in there. e.g. failed to invest the opening account transfer for my wife (nearly 3 weeks in and still being “looked at by IT”) and also shows incorrect values when I switch between my own and my 2 sons’ J-ISAs.